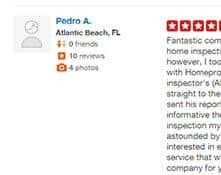 HomePro Inspections has been providing excellent inspection services in Jacksonville and the surrounding areas since 1994. 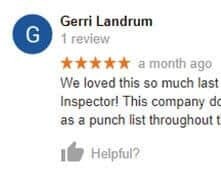 Our team of certified inspectors is committed to delivering industry-leading inspections and top-notch customer service. Request a quote now or call (904) 268-8211 to speak with one of our knowledgeable team members. Only with a HomePro inspection – your 12-month home warranty from RWS increases to 18 months for FREE, and features the broadest coverage available on today’s market. We loved this so much last year that we decided to do it again this year – different home, same fantastic inspector! This company does a thorough, comprehensive inspection…. When we decided to purchase a new home this year, there was never a doubt that we would call HomePro…. 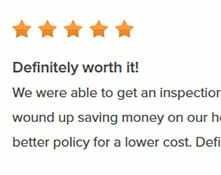 We used HomePro Inspections for our home inspection and insurance inspection and they did a great job… answered all of our questions and educated us on subjects pertaining to the inspection. Very helpful and pleasant to work with. Our inspector was amazing. He was so thorough and patient during the inspection of our 1916 home. He answered all of our questions and touched on every nook and cranny of the house, attic and crawl space…. We had the full inspection report that evening and even records of all permits pulled for the property. 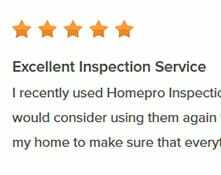 I am so happy we decided to use HomePro for our inspections. We will definitely use them for our next home purchase. 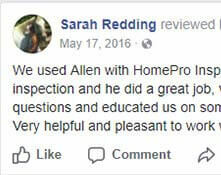 I recently used Homepro Inspections for the first time and I was very happy with how the service turned out. 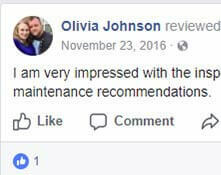 I would consider using them again for another service. I hired the company to do an inspection for the wood in my home to make sure that everything was safe. I would say that the people who came out were very professional in doing their work and they were able to move on to the next job. Based on how the service went, I would definitely recommend this company to other people. Great service. It provided great peace of mind given this is our first home. They were punctual, thorough, and I received a detailed report…. 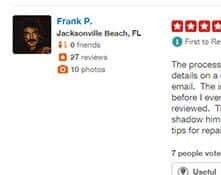 I am very impressed with the inspection and detailed report with pictures, and maintenance recommendations from HomePro. The process was easy from start to finish – I emailed for details on a quote and they were prompt in replying by email. The inspector was early and started on the outside before I even arrived…. Throughout the whole process he allowed me to shadow him and ask questions. Arrangements were made very easily. Mike showed up on time. 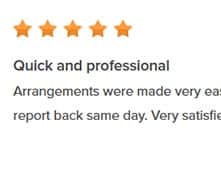 Very professional, quick and efficient. Had report back same day. Very satisfied. 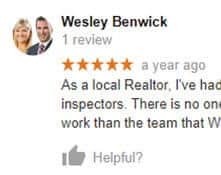 As a local realtor, I’ve had the privilege to work with a number of home inspection companies…. There is no one more professional, more experienced, and more willing to stand behind their work than the team at HomePro. Thank you HomePro for your excellent service. Great job on your performance to inspect on past, present, and future issues. You are highly recommended. Very Professional and honest. Fantastic company. Worth every penny. 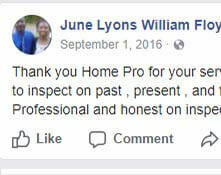 I did not need a home inspection due to my home being newly built, however, I took the advice of experts and appointed one with Homepro. I was more than satisfied with the inspector’s knowledge. Very professional and straight to the point. Answered all my questions…. I thought I could do the inspection myself watching YouTube videos, and I was astounded by how much little detail he discovered. Thanks, HomePro. We were able to get an inspection on short notice. 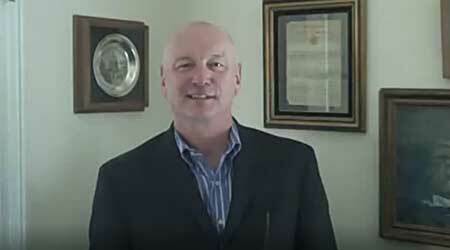 Larry Newland came to our home and was wonderful! We wound up saving money on our homeowner’s insurance from the wind mitigation report he did. We got a better policy for a lower cost. Definitely worth it! Thanks, Larry! 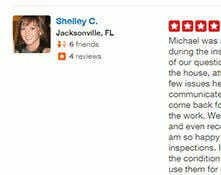 HomePro Inspections provides industry-leading services in Jacksonville, St. Augustine, and the nearby areas in Florida. We offer home inspections, home warranty plans, environmental services, and many other related services. Request a quote online or call (904) 268-8211 to speak with one of our knowledgeable team members.